The knots are tied with one working cord, attached to several holding cords. With the regular Double Half Hitch, it's the opposite: there are several working cords and usually one holding cord. 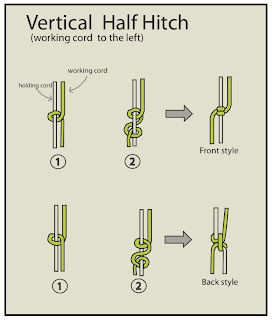 Before stating the variation of vertical haft hitch you must learn this 2 basic knots. 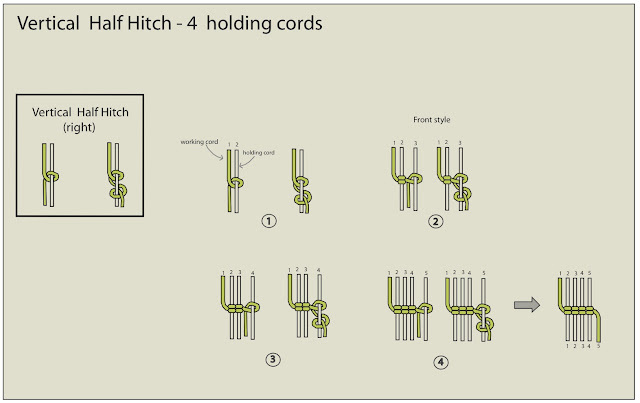 Tighten the knot firmly by pulling the end slightly to the right.This is one half hitch knot. 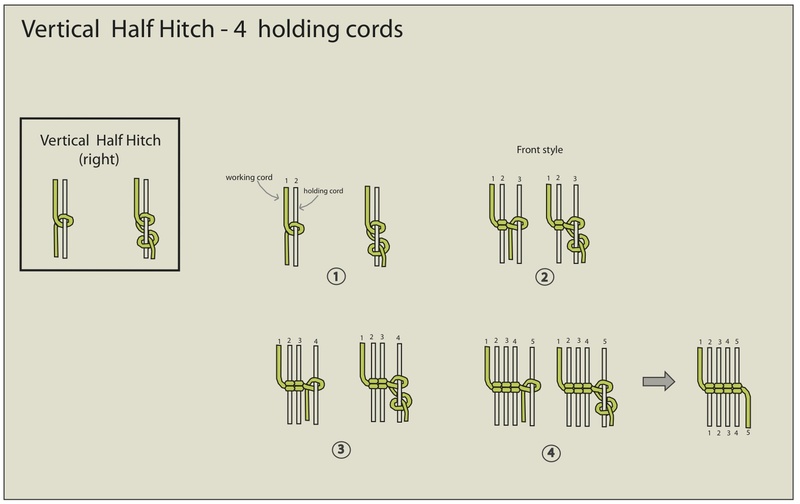 Step 2 : Make the second Half Hitch the same way (but clockwise), passing the working end over the holding cord, under it, and over the working cord. Tighten the knot by pulling the end to the left. Take one working cord on the left of the holding cord. When tying Half Hitches of any type, you usually start by passing the working cord under the holding cord. 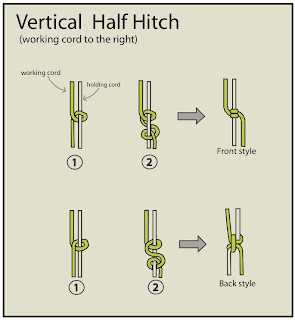 Then you tie the Half Hitch. 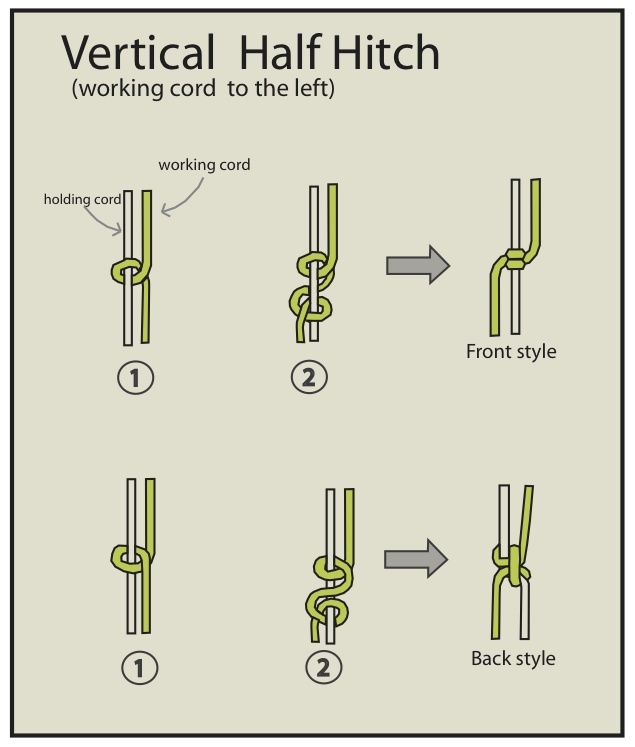 Step 1 : Make the first vertical half hitch, the working cord will be on the left first, then after the vertical half hitch knot the working cord will be on the right of first holding cord. be sure you Tighten every knots firmly. Step 2: Make the second vertical Half Hitch the same way, Use the same holding cord tying with the second holding cord. Step 3: Make the second vertical Half Hitch the same way, Use the same holding cord tying with the third holding cord. Step 2: Make the second vertical Half Hitch the same way, Use the same holding cord tying with the fourth holding cord. 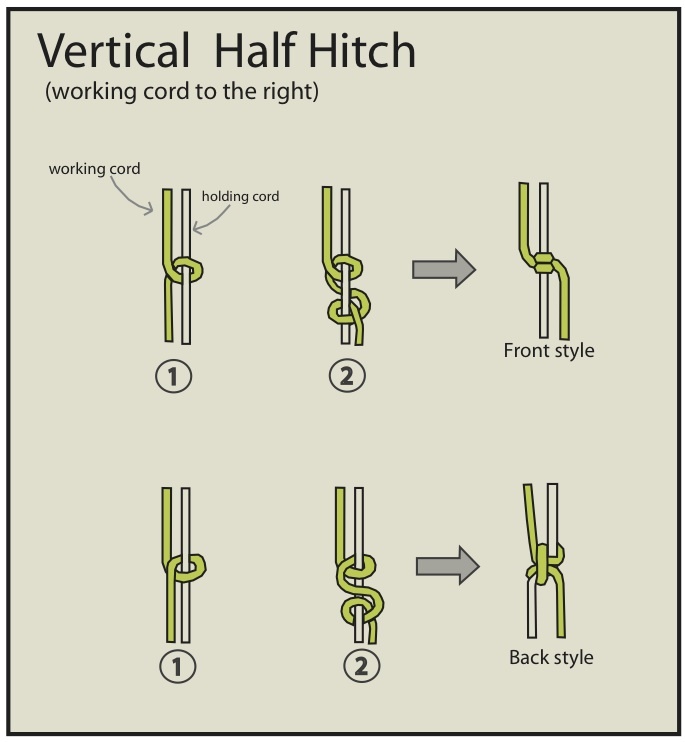 To continue the reverse direction in the second row, use the vertical half hitch to the left knot.